These pictures are the finished products of me being up late Tuesday night attempting to make myself presentable. I think it’s safe to safe I succeeded with that mission. 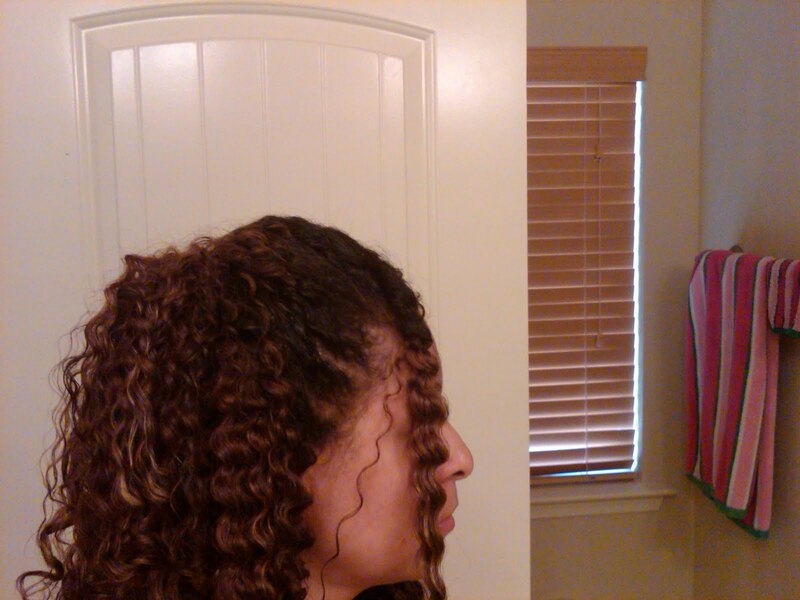 This is a twistout. I co-washed with Aussie Moist and deep conditioned with Aussie 3-Minute Miracle and set the style with Coconut Oil and Garnier Fructis Sleek & Shine Leave-In Conditioning Creme & Voila! 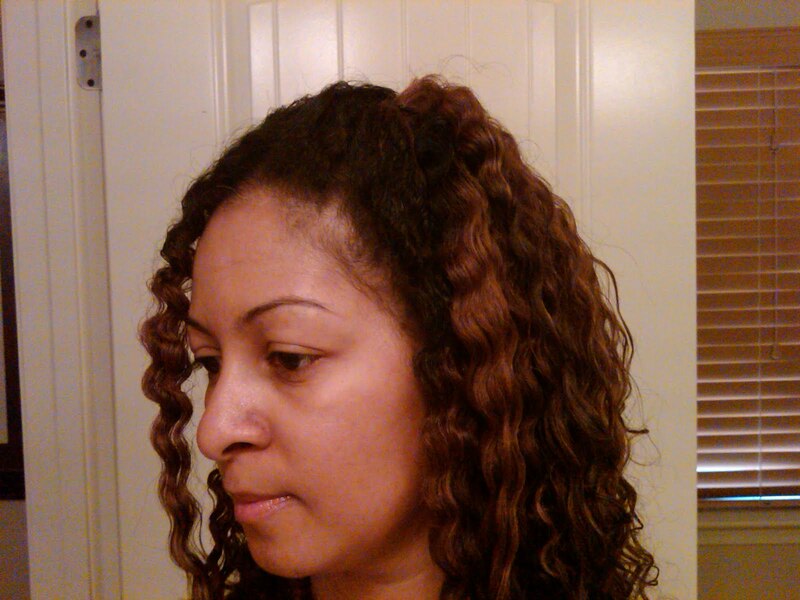 You have a beautiful, bouncing and behaving Twist Out! 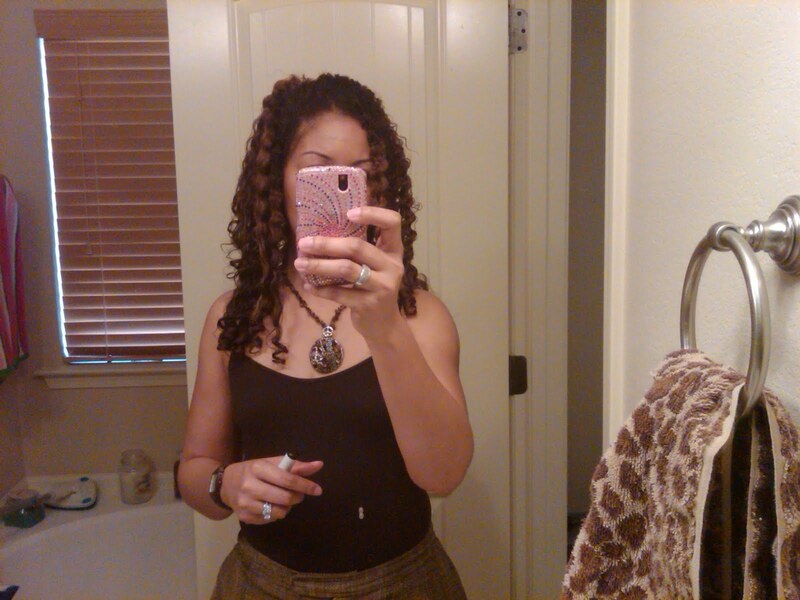 Now, on to other business – I’m praying for a Miracle & Blessing and I claim it! I know I will receive it! Amen! I’ve had a lot going on, so I haven’t worked out since the other day, but I’ve got to get back on it because our Anniversary trip has been booked! In just 78 days, we will celebrate our 1st Wedding Anniversary in ATL @ our friends’ wedding, hubby’s frat brother and a soror of mine! We were planning to be on an island on the actual date of our Anniversary, but when we found out their Wedding Day was on our actual Anniversary, we didn’t want to miss such a beautiful occassion and decided we would celebrate their Wedding Day with them on our Anniversary! I love love and Black Love is Beautiful!! But please believe this works out for us as well, we always end up leaving out of ATL anyway, so we will be flying out bright and early the next day for 5 beautfiul days in Los Cabo San Lucas, MX! I can’t wait. 79 days and counting. I’ve got to get it right, get it tight! I know I can do it, so I will visit with Jillian Michaels after work! This entry was posted in 1st Year Anniversary, Blessings, Hair. Bookmark the permalink.